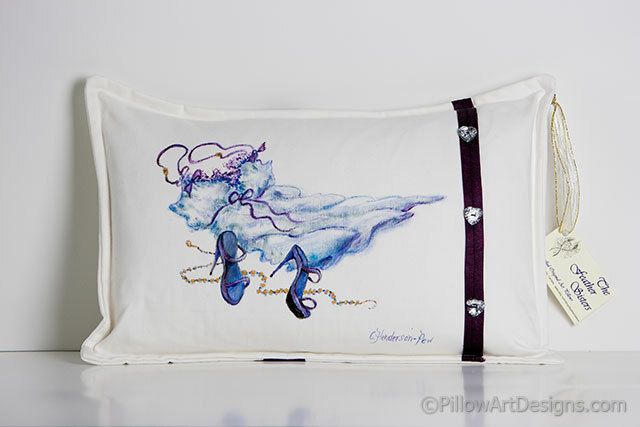 A wonderful addition to your boudoir decor, this art pillow features blue and purple lingerie and purple high heels with a gold chain entwined between them. 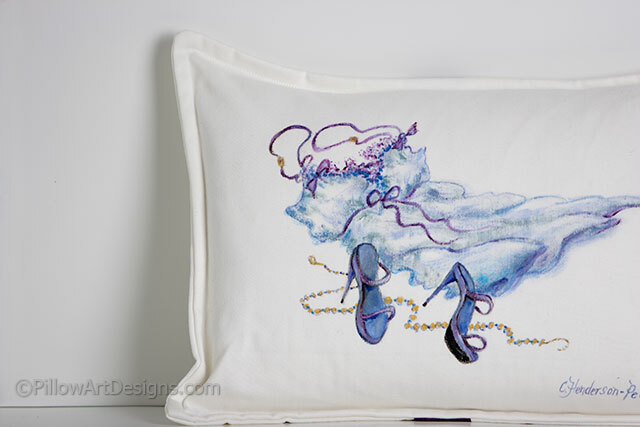 We've added a trip of purple fabric trim down the length of the pillow face and added blingy heart buttons to give it some zing! 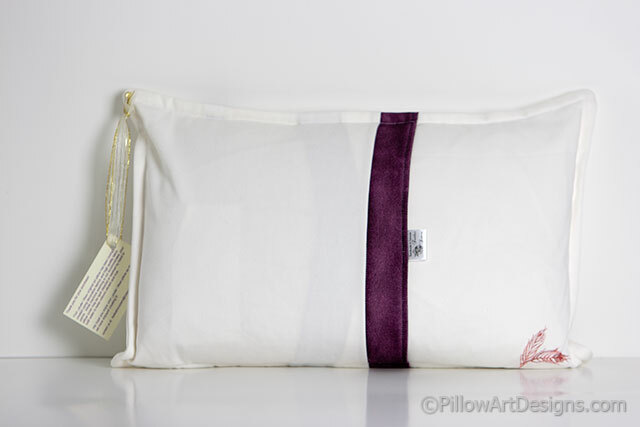 The back of the pillow has the same purple trim down the edge of the envelope closure.